You will make four cards from the September Great Impressions Board. A little layering, coloring, and spooky fun. 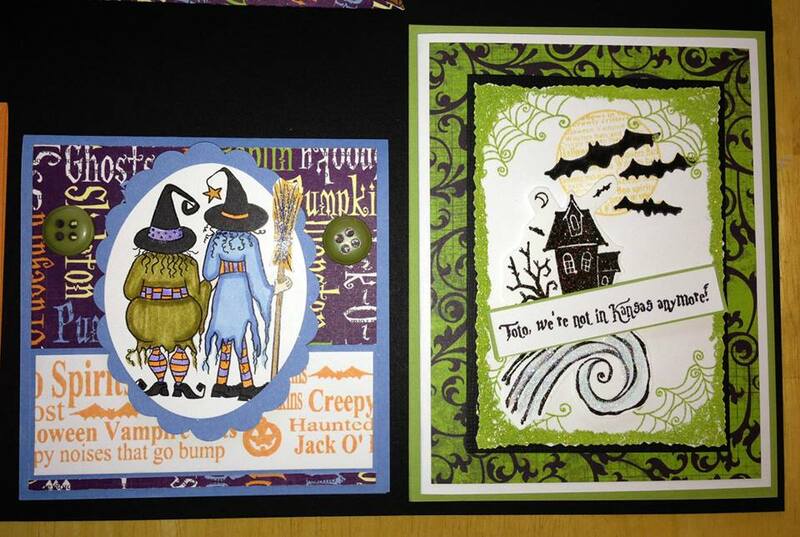 Cards include witches, a bat, and more Halloween fun.